On our 4th day in Cambodia, Jam, his friend and I left Siem Reap for Phnom Penh by bus in the afternoon. 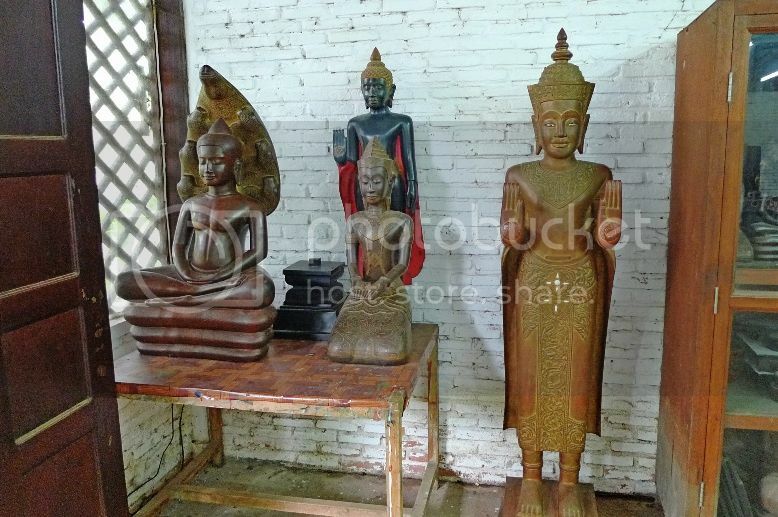 We had some free time in the morning so we decided to visit Artisans d'Angkor, a workshop that is famous for its woodworking, stone carving, lacquering and silk painting. 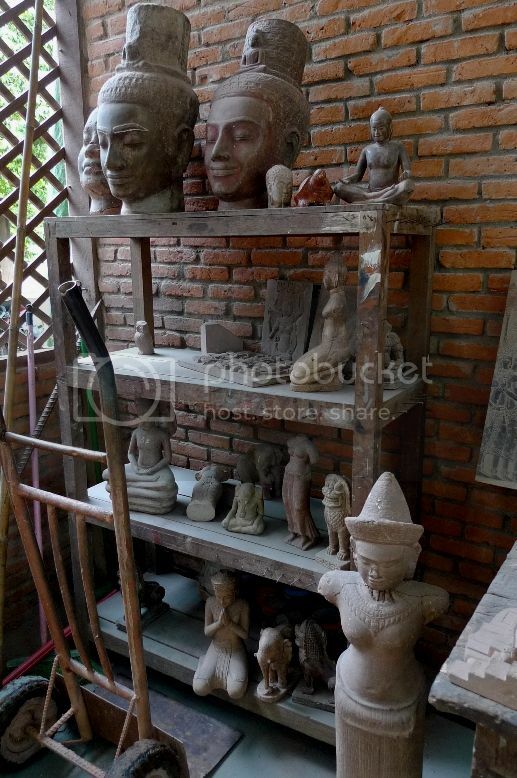 This workshop is located at Stung Thmey Street and is within walking distance from Angkor Friendship Inn where we stayed. 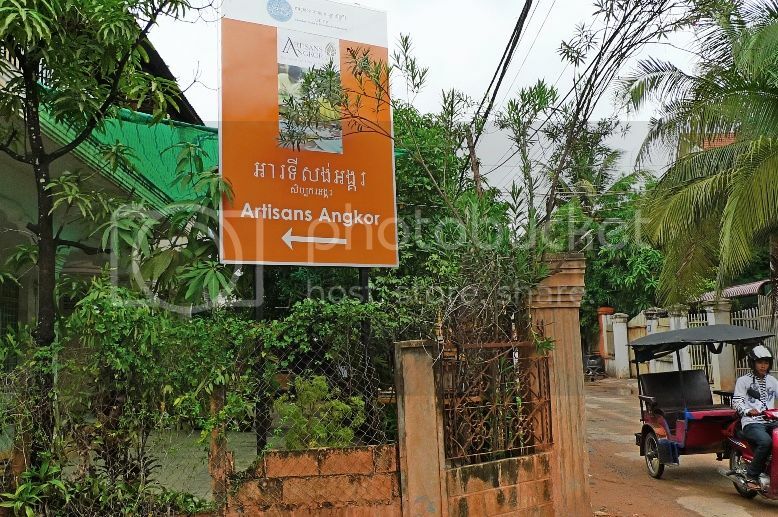 Artisans d'Angkor was originally a professional training school by the name of Chantiers-Écoles to train unschooled rural youth to make a living from handicraft production. 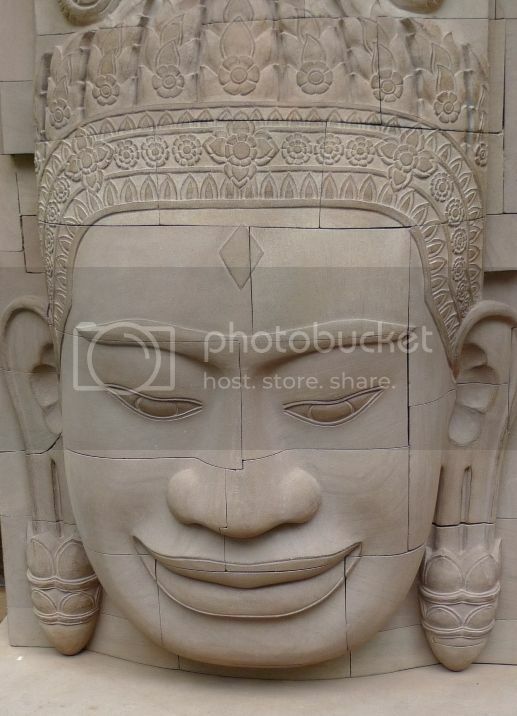 In 1998, Artisan d' Angkor was established with financial support from the European Union. 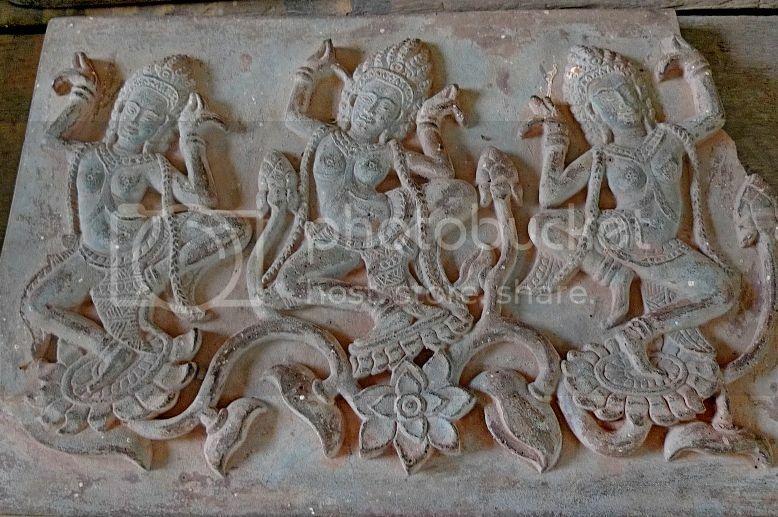 Today, it is completely self-financed, having trained young Cambodians in recreating the arts of their cultural heritage and at the same time offering them the opportunity to earn income for their families. 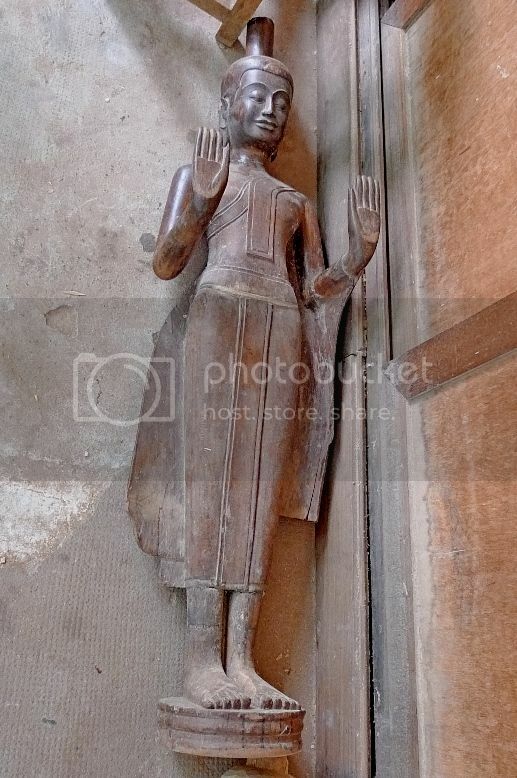 Entrance to the workshop is free. They also provided us with a free tour guide but we opted to tour on our own so that we could take our time and also without the hassle of being pressured to buy anything. 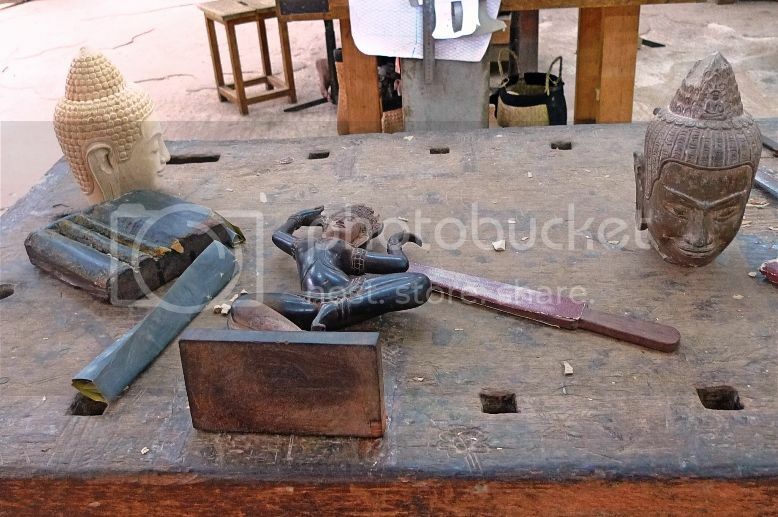 It was interesting to see the skillful workers carving woods. 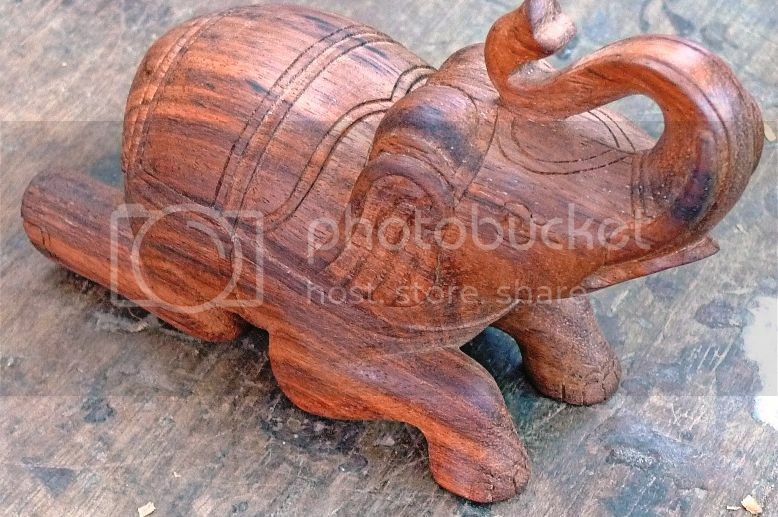 I think one needs to be highly skilled to be able to cut and shape the wood to turn them into beautiful sculptures. 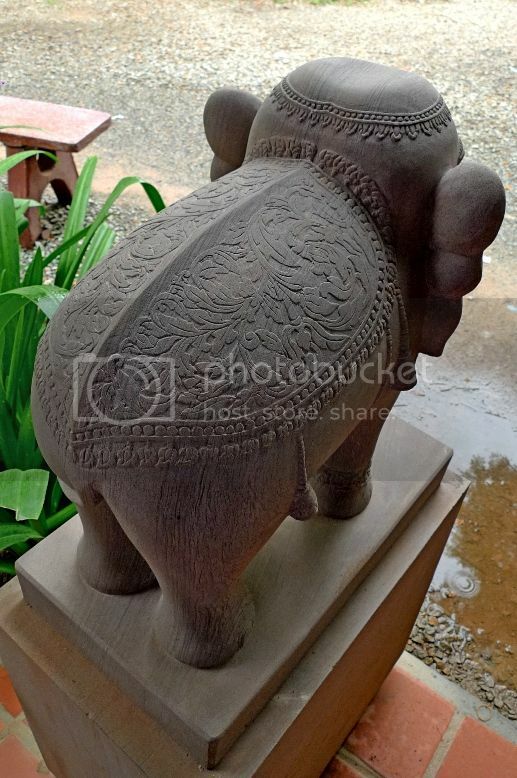 Stone carving is an art dating back to the ancient Khmer empire with the magnificent Angkorian temples as fine examples of this art. 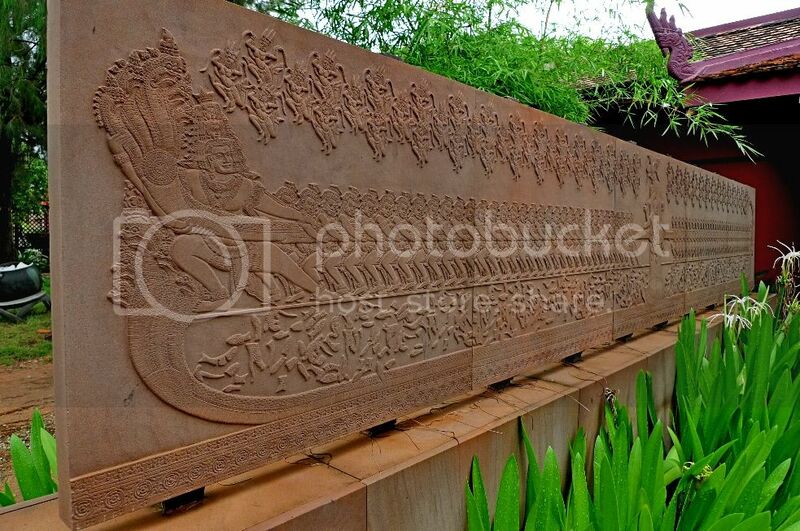 Just like the Angkorian temples, stone carvings are mostly carved from sandstone. 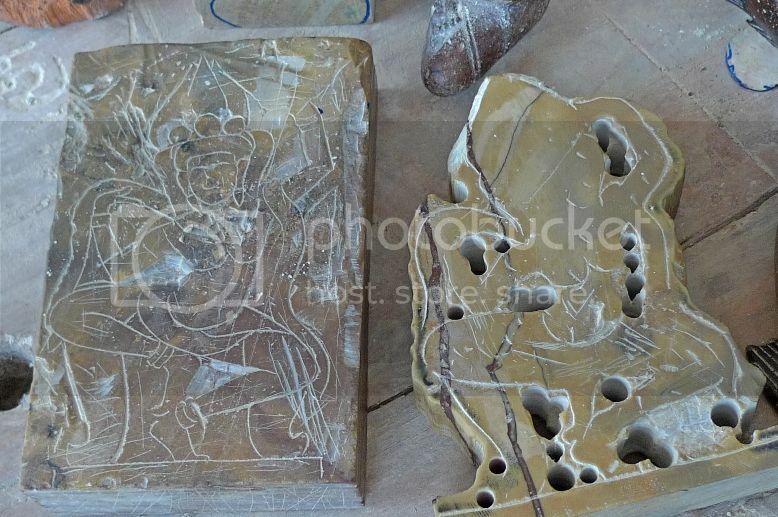 After the wood and stone carving workshops, we entered the polychromy, lacquering and gilding workshop. 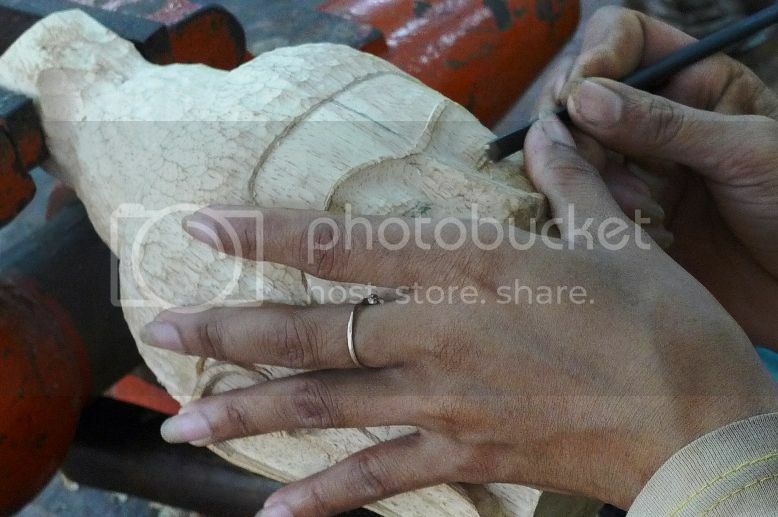 Polychromy involves several layers of chalk being applied on the wood carvings. 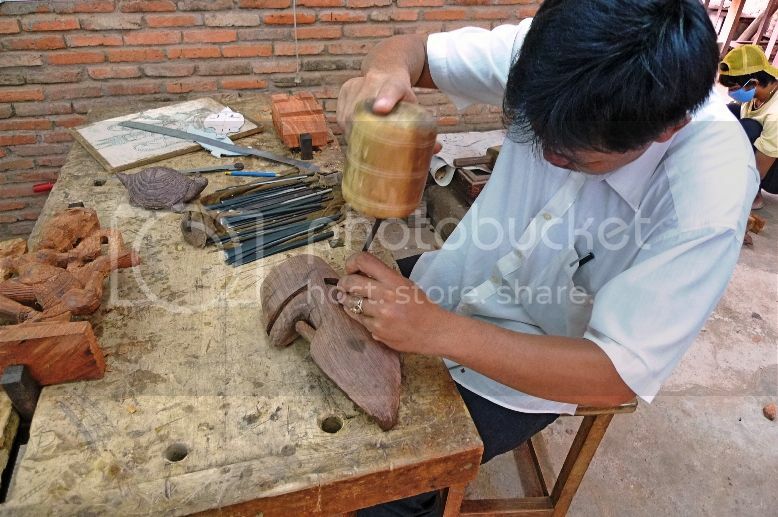 Lacquer which protects the wood, is then applied to the layers of chalk. 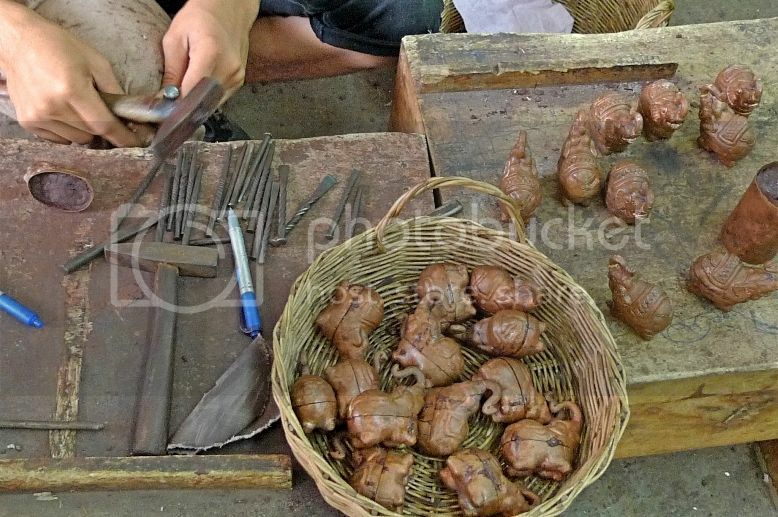 The lacquer also smoothen out the surface of the wood or stone to make colouring them easier. 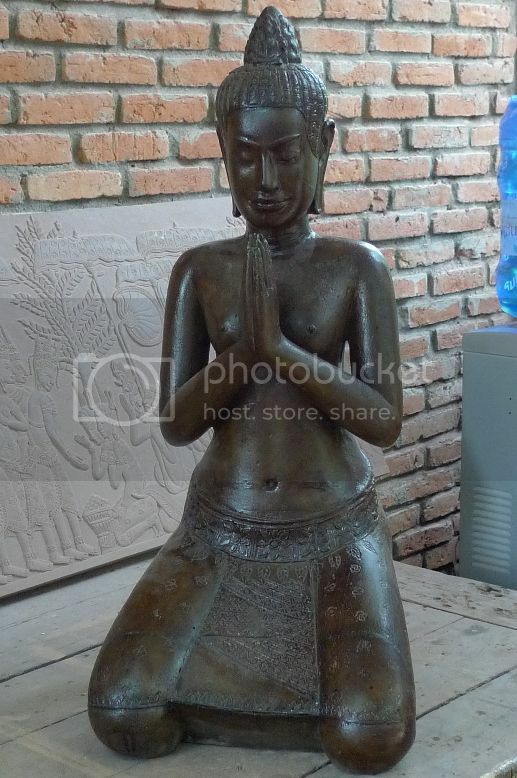 Copper leaf is then used during gilding to create the ‘golden’ effect on the statues. 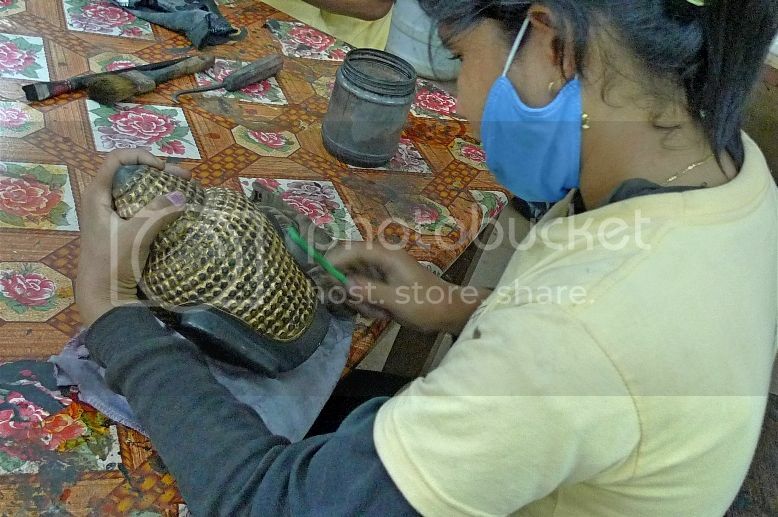 Below are a few photos of workers busy lacquering and gilding. Can you differentiate between the lacquered and unlacquered pieces below? 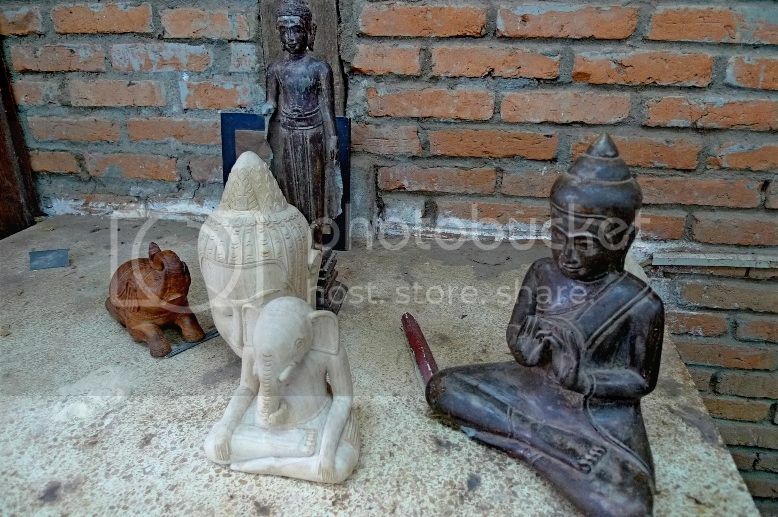 I saw a worker busy with these tiny carvings. 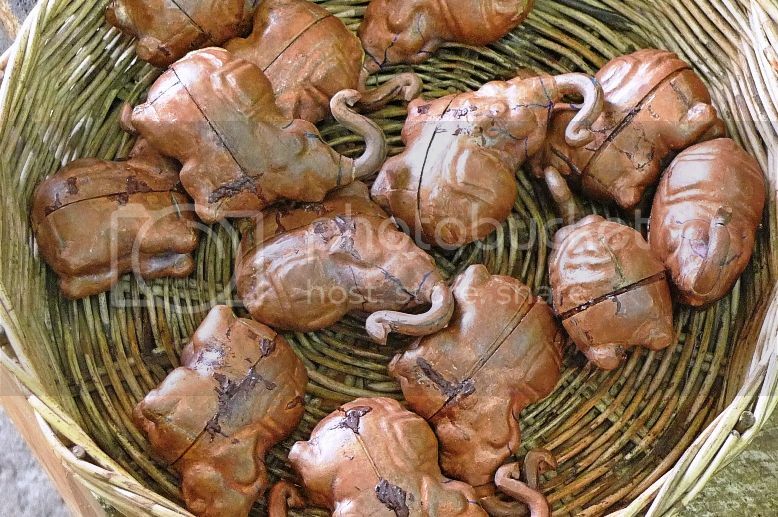 They turned out to be elephant carvings! Aren't they cute? 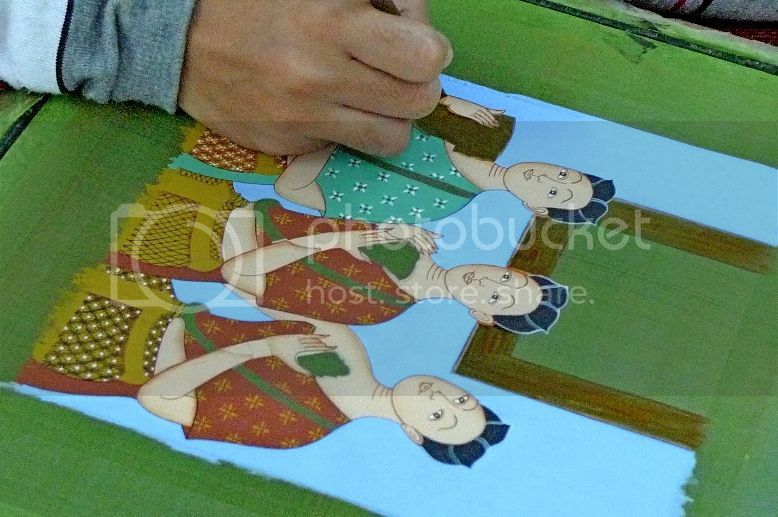 Next, we visited the silk painting workshop. 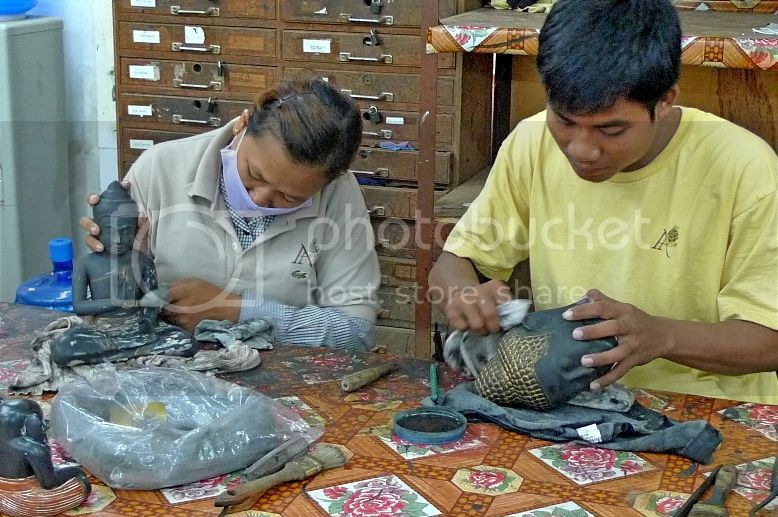 The silk is produced at a silk farm about 16km from Siem Reap. There is actually a shuttle bus to bring you to the silk farm but we did not have time for that! 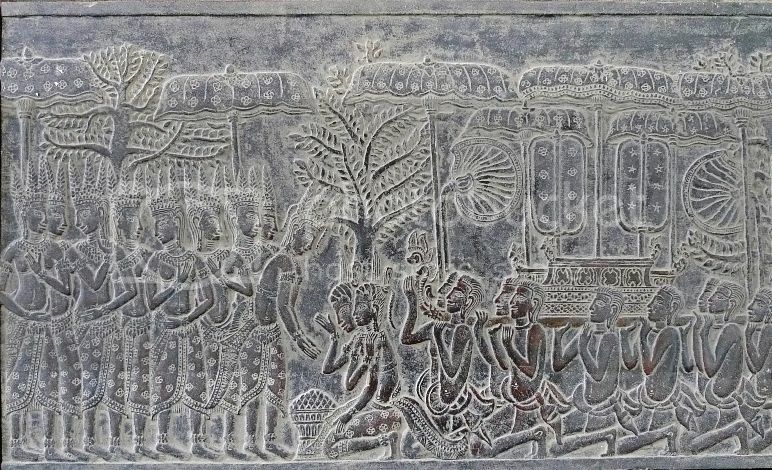 After the silk medium is set on a frame of predetermined size, motifs are drawn on it and colours using natural pigment are applied onto the motifs. 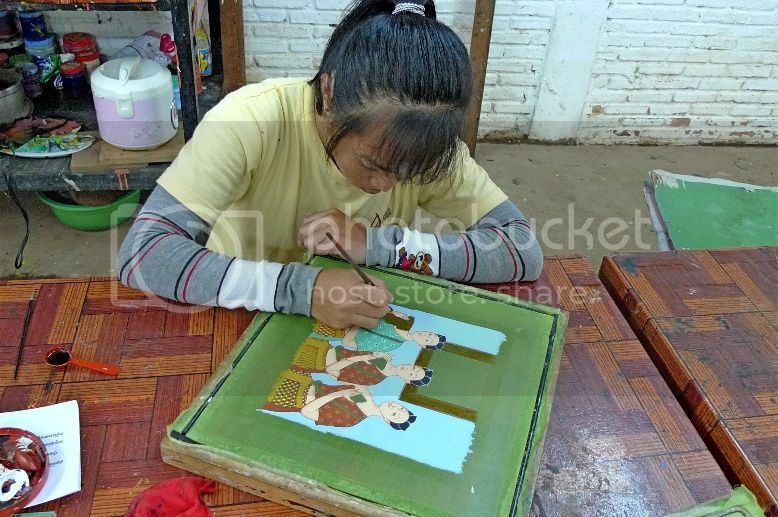 Most silk paintings here are done by mute and deaf artisans. 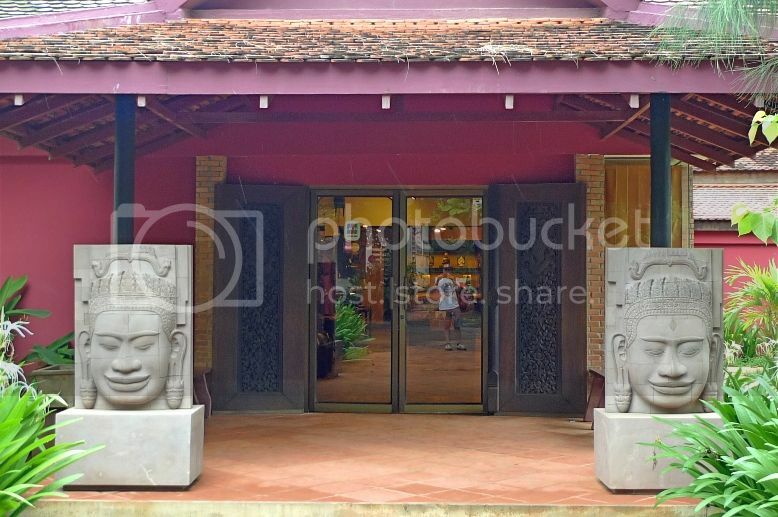 Outside the workshop building is the courtyard of Artisans d'Angkor, where many impressive looking stone carvings and statues can be found. 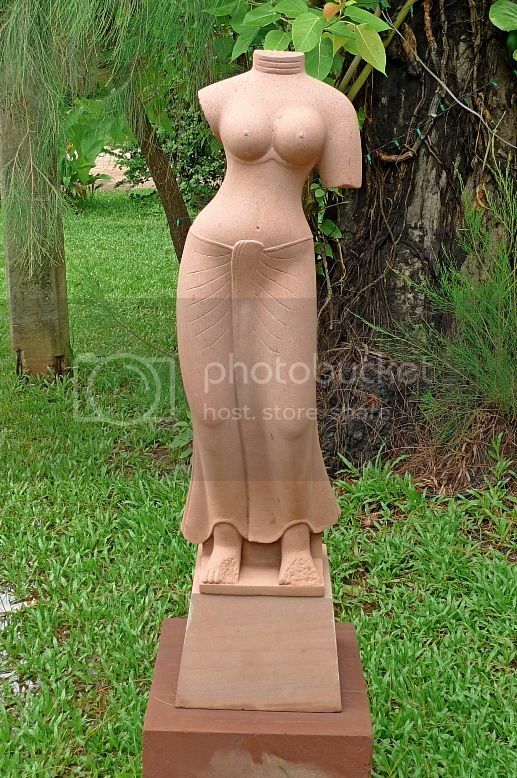 Artistic statue of a Goddess inspired by Indian art? 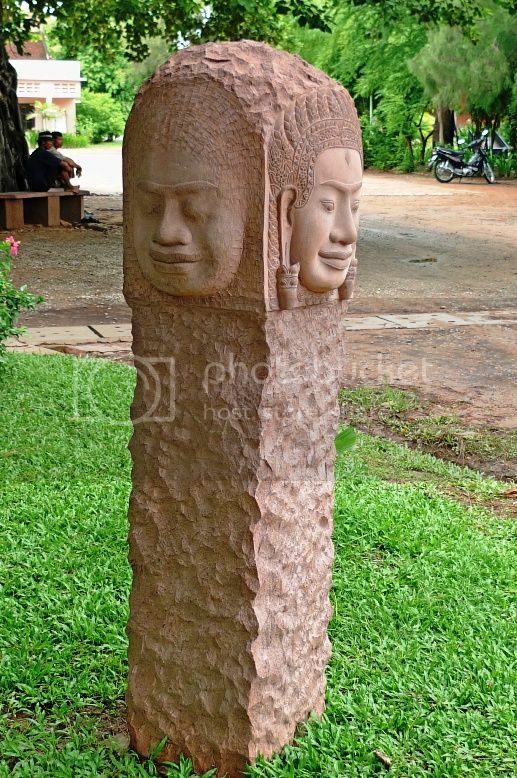 Totem of the four faced Buddha? 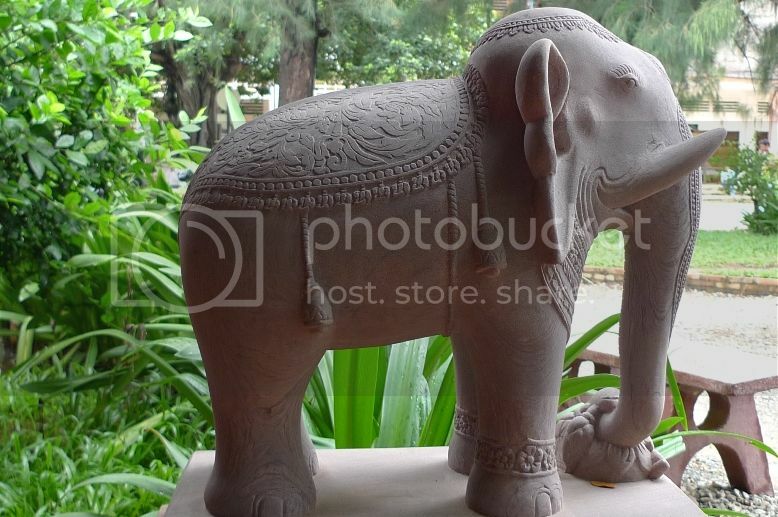 We ended our tour of Artisans d'Angkor with a visit to the souvenir shop. This is not your ordinary souvenir shop found in the market place but is actually a high quality retail shop with air conditioning. We were not allowed to take pictures inside the shop. I only managed to take a photo of the shop's entrance. 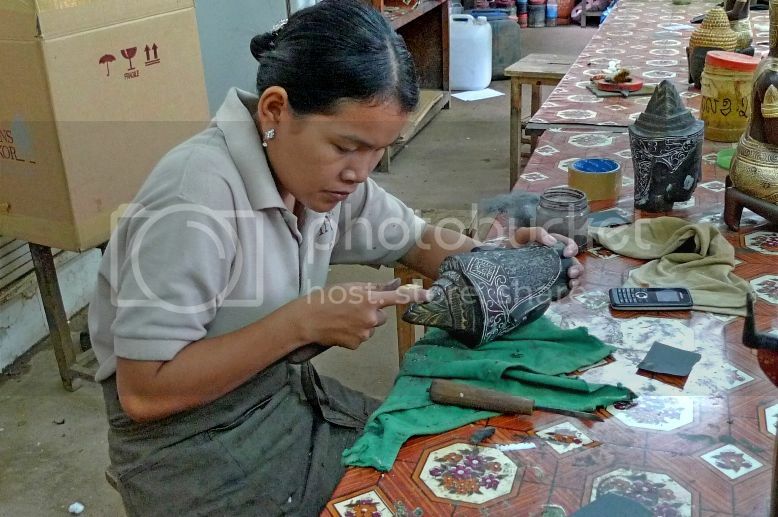 The products sold inside were wood and stone carvings, lacquer wares and silk items from the fine workmanship of the artisans in Artisans d'Angkor. They were of the highest quality, very beautiful and very expensive too!! I ended up buying a T-shirt (forgot the price!) 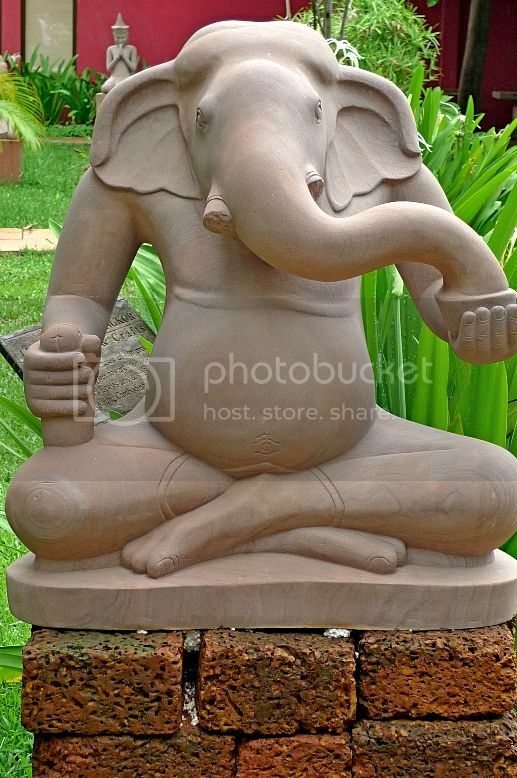 and the beautiful linga-yoni sandstone like the one in one of the photos above but in miniature size. 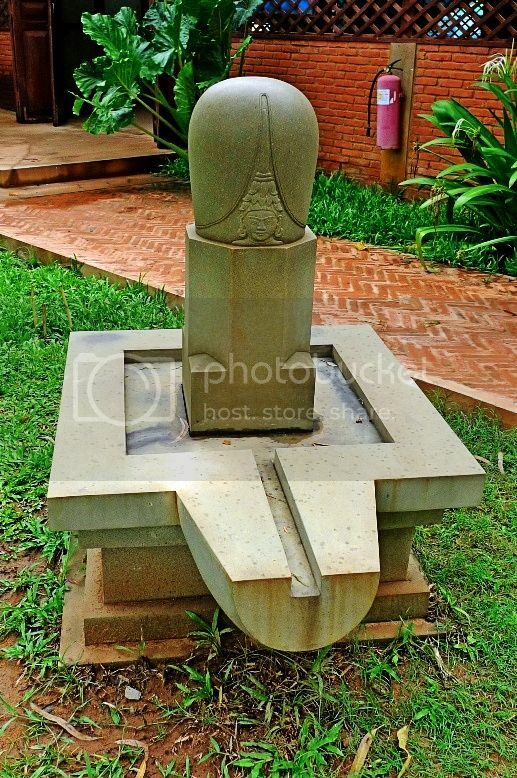 Measuring about 3.5 inches in length and width and 5.5 inches in height, this linga-yoni sandstone was priced at USD29. 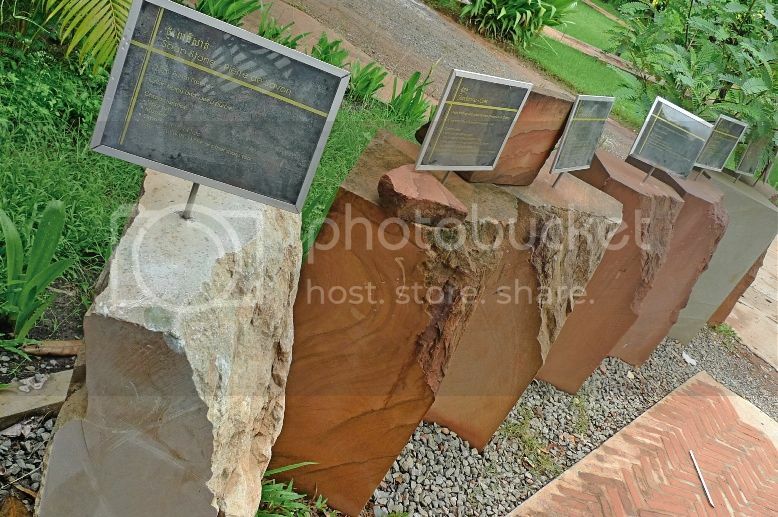 You can see the picture of my linga-yoni sandstone HERE. 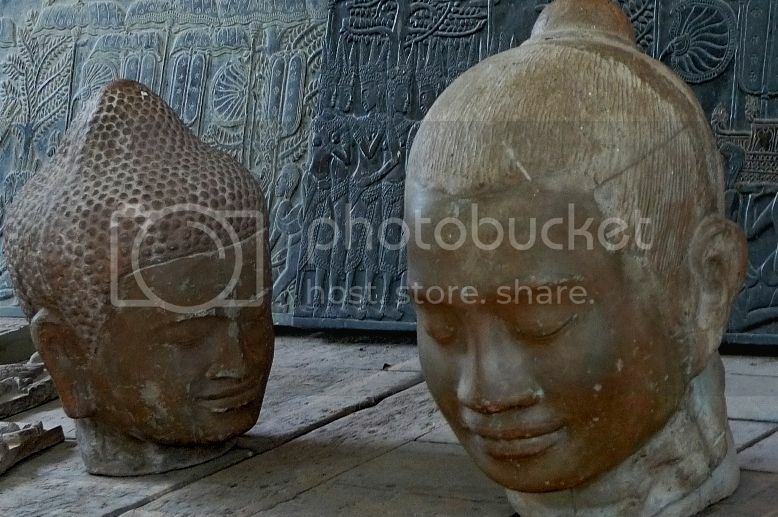 Artisans d'Angkor is definitely worth a visit so make sure this place is part of your itinerary should you travel to Siem Reap.